Our school celebrated 70th Independence day with great patriotic fervour, zeal and zest. 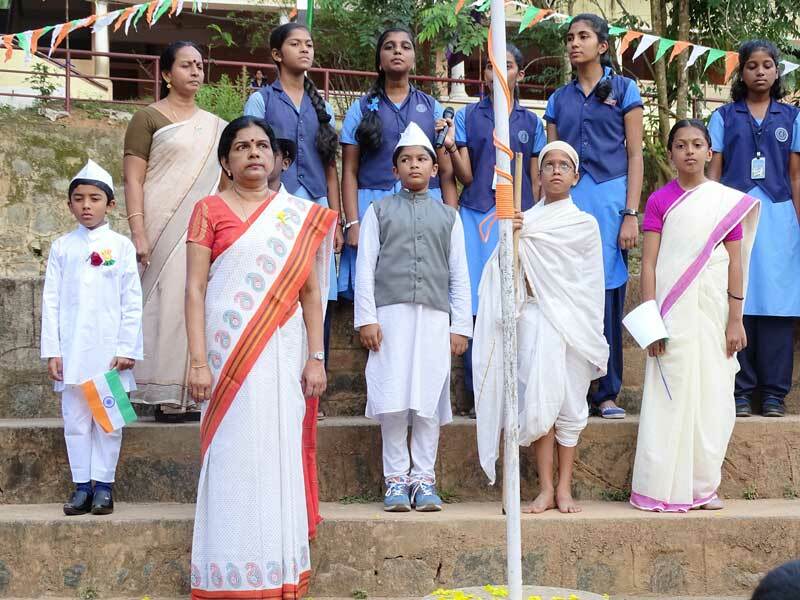 The function began with the unfurling of the national flag by our Principal followed by the patriotic renditions by the school choir which charged up the atmosphere with patriotic spirit. Children took out a rally raising slogans and demonstrated how mass movement had taken place during freedom struggle. Cultural activities followed. Our tiny tots also celebrated Independence Day with great enthusiasm by delivering speeches, singing patriotic songs and a March Past !